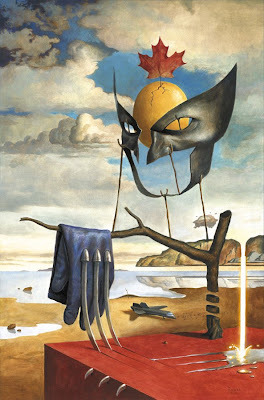 Here's another installment of Wolverine Art Appreciation Month — this one based on the infamous Salvador Dalí. I must admit, this series has been a lot of fun to work on, so I'm happy that I can finally share them. 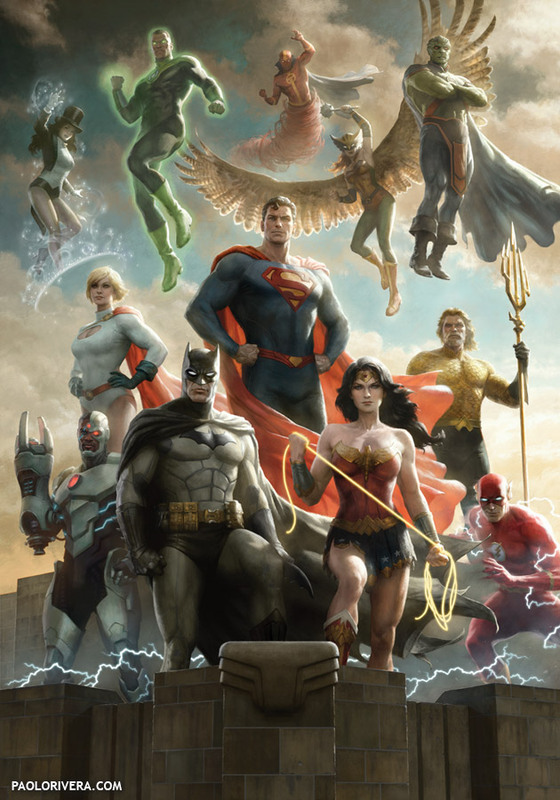 I've also heard that some of them are already out, so you may be able to find them at your local comic store. I began with this digital color study to plan the composition and to receive approval from my editor. That process was more complicated than usual because of the legal complications of using other artists as inspiration. I can't pretend to know what went into the decisions — I only know that I had to do a little more leg work than usual. 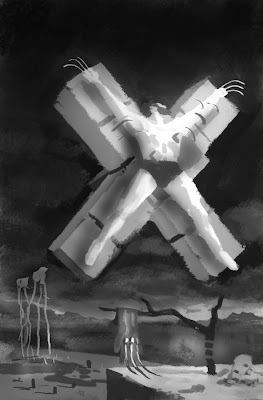 For example, I had originally wanted to base the painting on Dalí's Crucifixion. I had a feeling this wasn't going to be approved, so I sent in a very rough sketch. Surprise, surprise, we had to go with something less (potentially) offensive. I'm glad we went with the one we did, though. It's more iconically Dalí. I was pretty sure that back in the day Marvel had published a crucified Wolverine cover, and indeed they had. But I agree that your final version is more quintessentially Dali-esque. Hi Paolo ! I've discovered your work with "Mythos / Hulk". It was really great to read a good comic with beautiful paintings. Then I follow your blog and it's an everyday inspiration for me. 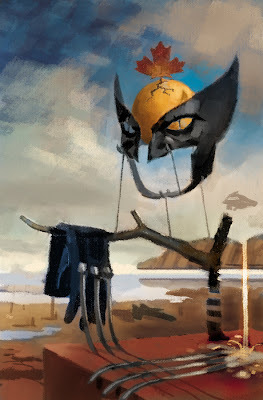 Your work on Wolverine / Dalì is wonderful. That is simply amazing. Love your treatment of this. Perfect. And yes, Bean, that's the cover I wanted to reference — and it was the only reason I thought there was a chance I could paint a crucifixion on the cover. Alas, it was never meant to be. Wow, Paolo, this is really awesome. Despite the decision that was made to go with the less offensive one, I think this one is powerful. Looks incredible. Another beautiful work Paolo!!! The clouds are rock'n, look at all the broken color in there. Amazing sir. I like the dripping adamantium as well. Besides your solid technique, I just wanted to compliment you on your choice of Surreal elements. They perfectly capture the spirit of the movement and the character.